For upholstery fabrics that look amazing under any condition, look to the Sunbrella Shift Collection. These unbelievably durable fabrics are made from a rare blend of Sunbrella acrylic, PVC, and polyester. The line merges vintage designs with current styling for versatile arrangements. 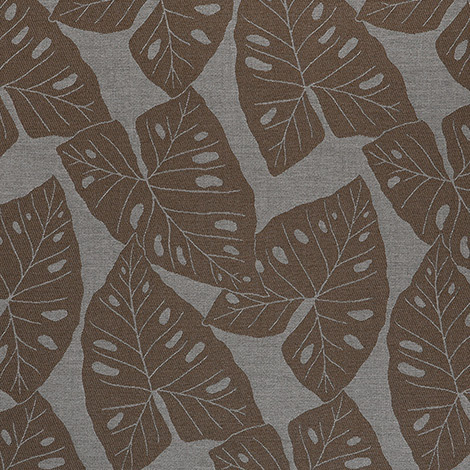 Radiant Slate (69008-0002) sports a lovely jacquard pattern of greys and browns. Uses include curtains and drapes, cushions, slipcovers, decorative pillows, indoor and outdoor furniture, and much more. The easy-care material is both water repellent and mildew resistant. Warranty: 5 years. Width: 54 in. Weight: 15.3 oz.